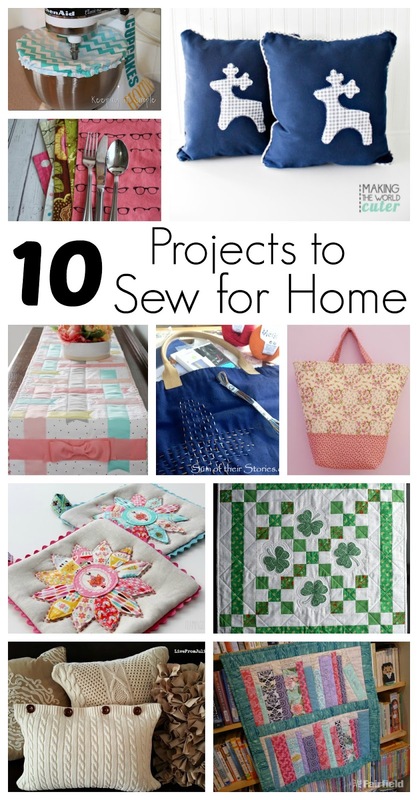 From placemats to pillows everything you need to sew for home. 10 awesome and easy DIY projects to add to your must make list. I’ve been busy quilting and doing more Cuddle fabric projects this month (as usual). You might like my Spring Bookshelf Mini-Quilt or the Half-Square Triangle Blocks I posted. And if you’re sort like I am, you might like this Seatbelt Sleeve Tutorial using Cuddle from Shannon Fabrics. Stay turned for some fun 18-inch doll projects coming out later this month. Thanks so much for featuring my runner and potholders!!! I have the perfect recipe this week with my Butterfly Cupcakes. They’re so pretty and I know your readers will enjoy them! Thank you!